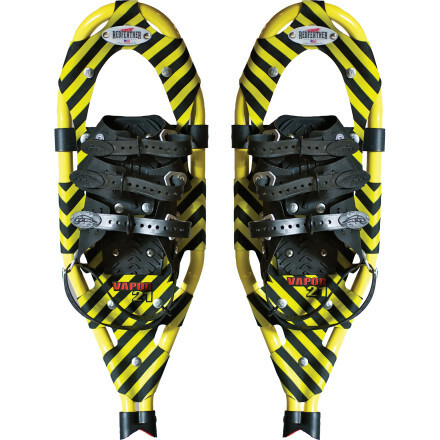 Kahtoola says its unique FLIGHTsystem is “what snowshoes wanted to be when they grew up.” The FLIGHTsystem is made up of an insulated FLIGHTboot with built-in traction and a FLIGHTdeck step-in snowshoe deck. The system is designed to adapt to conditions ranging from packed powder to deep snow to icy terrain, whether you’re walking, running, or hiking. When you need flotation for fresh or deep snow, click the FLIGHTboot into ports on the FLIGHTdeck to create the FLIGHTsystem. FLIGHTdecks have stainless steel traction cleats, an adjustable heel block, and no straps or buckles to deal with in the cold. When you no longer need flotation, pull the ripcord to release the decks and stow them away. The FLIGHTdeck is available in two sizes: the smaller Gypsy (8" x 23"), is designed to be a fast and light version that carries up to 150 pounds over packed snow, and the larger Gemini (8.5" x 24") will carry heavier loads. The FLIGHTdeck works only with the Kahtoola FLIGHTboot. 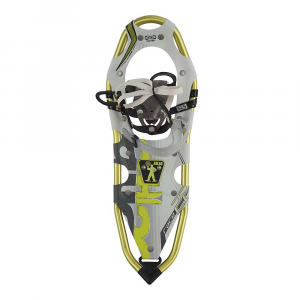 The Kahtoola FLIGHTsystem, integrated overboots (FLIGHTboots) and snowshoe decks (FLIGHTdecks), offers winter trail runners and hikers a warm, dry, and binding-free alternative to traditional snowshoes. 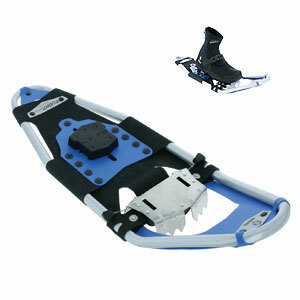 The system is designed for running and hiking primarily on snow-packed trails. The FLIGHTsystem starts with the neoprene FLIGHTboots, which convert your running shoes or light trail shoes into waterproof winter footwear (read my review of the FLIGHTboots). 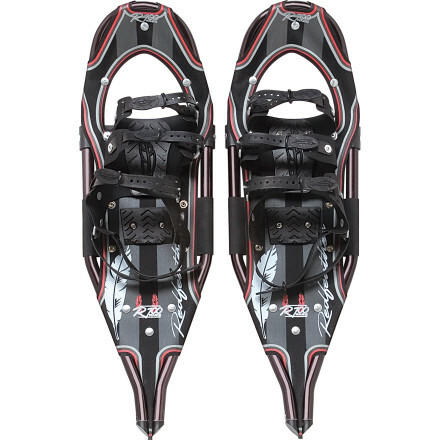 When fresh snow calls for more flotation, add the FLIGHTdecks, integrated snowshoes, which come in two sizes (Gypsy and Gemini), to the FLIGHTboots. Either model can be adjusted to fit any FLIGHTboot by moving the deck’s heel block into one of three positions. It’s not an easy adjustment though. I struggled to lift and slide the heel block per the directions. Once in place though, you won’t need to reset the blocks unless you change boot sizes. 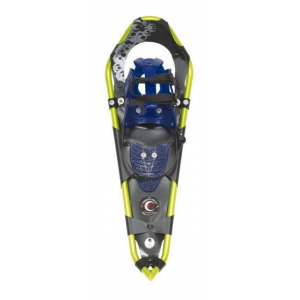 At 40 and 43 ounces, the two FLIGHTdecks weigh in around the middle for running snowshoes (Tubbs’s Catalyst weighs a hefty 49.6 ounces, Atlas’s Run, 43.3 ounces, Redfeather’s Race, 36 ounces, and Atlas’s Race just 32 ounces). However, the FLIGHTdecks’ weight doesn’t take into account the obligatory 44 ounces for the FLIGHTboots, plus the weight of your running shoes. I used the FLIGHTsystem running and hiking on trails that were flat to moderately steep, trails that had packed snow, and trails that had several inches of fresh snow. Initially the Kahtoola FLIGHTsystem struck me as being an overly specialized product. I wondered if the integrated system offered enough versatility for its relatively high price ($334 for boots and decks). However, every time I used the FLIGHTsystem I was pleased with its overall performance—the fit, the traction, the warmth— if not its ease of exit (for the deck). This information originally appeared as part of a Trailspace review of the Kahtoola FLIGHTsystem</a>. For information on the boots, visit the Kahtoola FLIGHTboots product page. The Kahtoola FLIGHTdeck is not available from the stores we monitor. It was last seen January 15, 2013	at Mountain Gear.